The hipster bar takeover of La Lengua continues with Virgil’s Sea Room, taking over the former Naps III. 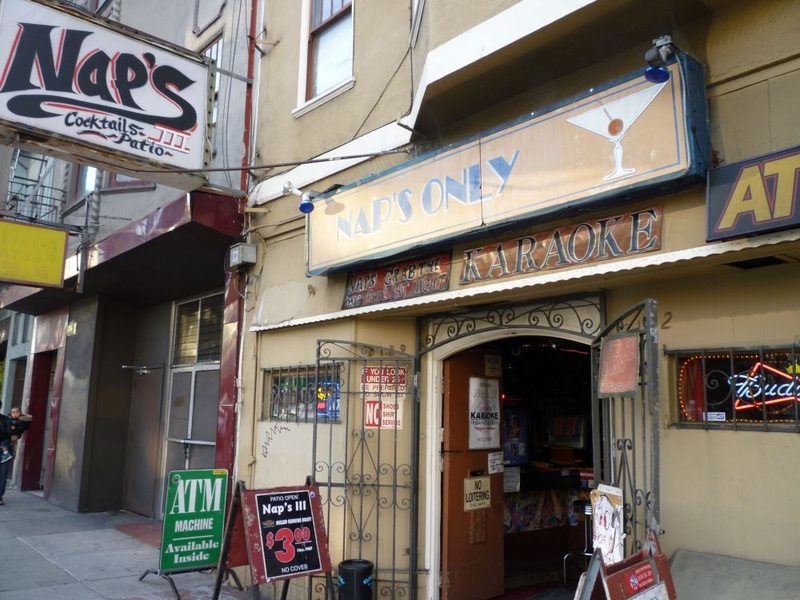 There will be karaoke, and according to the SF Eater blog, both gay and straight people, feeling comfortable and neighborhoody. Before you get too sad, rumor has it (in MissionMission comments) that Nap retired, but may still moonlight as host. Thanks to SFWiki.org for the photo. Gay AND straight! That’s INSANE! I hope it’ll still be a convenient outlet for cut-price contraband pharmaceuticals.